PG Paper Company started the New Year with some very exciting news. We all had many congratulations to give our CEO, Poonam Gupta, as she welcomed the surprise of receiving an OBE in the Queen’s New Year Honour List for her services to Business and Charity Work. After arriving in Scotland in 2003, Poonam struggled to find work that suited her flare for international business and entrepreneurial instincts so she decided to use the skills that she gained through her Honours Degree in Economics and an MBA in International Business, and thus developed PG paper. Over the past 14 years, Poonam along with her husband Puneet, have had many successes and achievements but that doesn’t mean it was always easy. 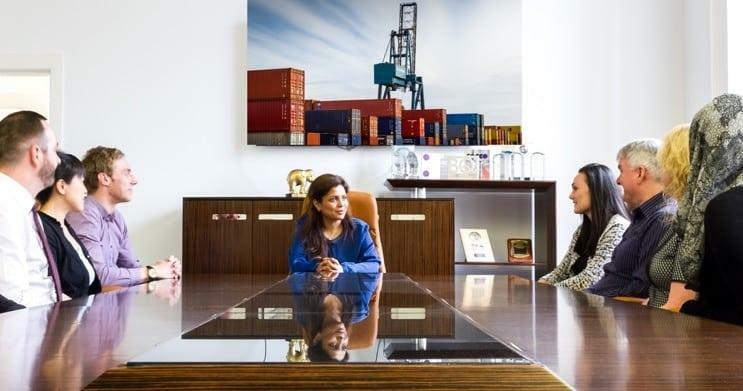 When PG initially began, Poonam had to teach herself about the paper industry in less than a year, working 18-hour days and making calls all over the world. However, within 2 years, she managed to continue the business by herself and achieve a turnover of £2.5million. Nowadays, we are exporting our products to 54 countries across the world, and we’re constantly developing our presence in new markets. Poonam and Puneet have used their success to aid many charities nationally and internationally, including their involvement in the Action for Children Scotland Sports Dinner where they raised over £91,000 in aid of children, young people and families in Scotland. Here at PG Paper, we also support the Oxfam South Asian Campaign, which strives to combat extreme violence against women in developing Asian countries. The continuous support towards various different charities across the globe shows that Poonam is well deserving of an OBE for her services to business and charity work. The company has twice won Greenock Chamber of Commerce Bee’s Knees awards and just recently in 2016 they were presented with British Indian Awards for Business of the Year, along with many other incredible awards over the past decade. However, Poonam’s OBE is definitely one of her biggest achievements to date, and great for the company also. We are proud of everything Poonam and PG paper have achieved to date and here is to continued growth and success!